Larisa Alexandrovna has put together a great introduction and companion to a February 14th news summary from Paul Thompson of History Commons (formerly and/or aka Cooperative Research). They raise fresh questions about the role of American government officials, too; and about the so-called "hijackers". Suicide bombers with plans for after the attack? How fascinating!! The timeline is heavily redacted (you can see a page that's been completely obliterated at the top of this post), but there are sill are all sorts of other contradictions, as well as plenty of other evidence of official obfuscation. If you're not up to the task of reading 300 pages and figuring out what's new in them, read the rest of Larisa's piece and then read Paul Thompson's: "2/14/2008: Newly Released FBI Timeline Reveals New Information about 9/11 Hijackers that Was Ignored by 9/11 Commission". New evidence suggests that some of the hijackers were assisted by employees of the Saudi government. It has previously been reported that Omar al-Bayoumi, a Saudi who was paid by the Saudi government despite not doing any work, assisted hijackers Khalid Almihdhar and Nawaf Alhazmi when they first moved to the US. The FBI timeline shows that when these two hijackers moved into their first San Diego apartment, they indicated that they had been living with Bayoumi in the apartment next door for the previous two weeks. In fact, they had been with him in that apartment since January 15, 2000, the very day they first flew into the US, arriving in Los Angeles. The timeline also reveals that hijacker Hani Hanjour was seen in Bayoumi’s apartment. Some credit cards used by the hijackers were still used in the US after 9/11. For instance, a credit card jointly owned by Mohamed Atta and Marwan Alshehhi was used twice on September 15. This helps confirm news reports from late 2001 that hijacker credit cards were used on the East Coast as late as early October 2001. At the time, a government official said that while some of the cards might have been stolen, “We believe there are additional people out there” who helped the hijackers. When Ahmed Alghamdi arrived in the US from London on May 5, 2001, an immigration inspector apparently noted that Alghamdi commented to him that the media was distorting the facts about Osama bin Laden and that bin Laden was a good Muslim. Alghamdi also indicated that he was travelling with more than $10,000 worth of currency. Shortly after 9/11, the New York Times, Washington Post, and other newspapers reported that by the spring of 2001, US customs was investigating Alghamdi and two other future 9/11 hijackers for their connections to known al-Qaeda operatives. One British newspaper even noted that Alghamdi should have been “instantly ‘red-flagged’ by British intelligence” as he passed through London on his way to the US because of a warning about his links to al-Qaeda. It has not been explained how Alghamdi was able to pass through British and US customs, even as he was openly praising bin Laden. On March 20, 2000, either Khalid Almihdhar or Nawaf Alhazmi used a phone registered to Alhazmi to make a call from San Diego to an al-Qaeda communications hub in Sana’a, Yemen, run by Almihdhar’s father-in-law. The call lasted 16 minutes. According to the 9/11 Congressional Inquiry, the call was intercepted by the NSA, which had been intercepting Alhazmi and Almihdhar’s calls for over a year, but the FBI was not informed of the hijackers’ presence in the US. The call is only briefly mentioned as a family phone call by the 9/11 Commission in a endnote, and it is not mentioned that the call was monitored. The FBI timeline shows other intriguing hints that the hijackers had associates in the US. For instance, on September 8, 2001, hijackers Majed Moqed and Hani Hanjour went to a bank with an unnamed Middle Eastern male. This man presented a Pennsylvania driver’s license for identification, but none of the 9/11 hijackers have been reported to have a driver’s license from that state. There is also a highly redacted section hinting that a woman in Laurel, Maryland, was helping Middle Eastern men and may have had links to hijackers Mohamed Atta and Ziad Jarrah. Several months ago, the London Times reported on an al-Qaeda leader imprisoned in Turkey named Luai Sakra. Sakra claims to have trained six of the hijackers in Turkey, including Satam Al Suqami. The FBI’s timeline supports his account, because Al Suqami’s passport record indicates he spent much of his time between late September 2000 and early April 2001 in Turkey. Furthermore, Sakra claimed that Al Suqami was one of the hijacker leaders, and not just another “muscle” hijacker as US investigators have alleged. The FBI’s timeline supports this, because it shows that Al Suqami was frequently on the move from 1998 onwards, flying to Syria, Jordan, Saudi Arabia, Egypt, Bahrain, Oman, Qatar, United Arab Emirates, Iran, Malaysia, as well as Turkey, and he travelled to most of these countries more than once. This is particularly important because contributors to the History Commons have put together evidence suggesting that Sakra was a CIA asset before 9/11, which would suggest that Al Suqami and other hijackers were actually trained by a CIA asset. 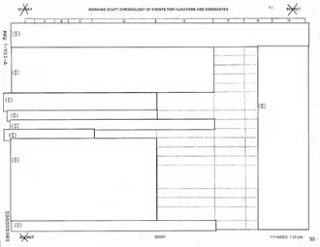 Unfortunately, much of the FBI timeline is heavily censored, with entire pages sometimes being completely redacted. But from what we do know, this timeline indicates that many questions remain about the hijackers and the 9/11 attacks. We know that the FBI’s timeline was available to the 9/11 Commission, so why did the commission fail to mention any of the information listed above? It’s interesting to compare the results of the 9/11 Commission with the 9/11 Congressional Inquiry that proceeded it. For instance, while the 9/11 Commission downplayed any possible ties between the hijackers and the Saudi government, the 9/11 Congressional Inquiry wrote an entire chapter on the topic. Unfortunately, all 28 pages of that chapter were censored. But Sen. Bob Graham, co-chair of the inquiry, later claimed that evidence relating to the two hijackers who lived in San Diego “presented a compelling case that there was Saudi assistance” to the 9/11 plot. He alleged that Omar al-Bayoumi in fact was a Saudi intelligence agent. He also concluded that President Bush directed the FBI “to restrain and obfuscate” investigations into these ties. The 9/11 Commission also downplayed the idea that the hijackers had any assistance in the US. The 9/11 Congressional Inquiry, by contrast, noted that many people who interacted with the hijackers in the US, including Omar al-Bayoumi, were under FBI investigation even before 9/11. Unfortunately, neither the 9/11 Commission nor the 9/11 Congressional Inquiry was a complete and unbiased investigation. If this timeline reflects just some of what only the FBI knew about the hijackers one month after the attacks, one can only guess at how much more all the US agencies combined know about the hijackers now. Why is that information being kept secret? Well ... I have a pretty good idea why all that information is being kept secret, and I could tell Paul and Larisa all about it, but they wouldn't believe me. They're not into wacky conspiracy theories. But they don't need to be. Who needs wacky conspiracy theories? Bandar's wife sends al-Bayoumi's wife money every month through a cutout. al-Bayoumi is a Saudi intelligence agent, who has been helping the "hijackers" since the moment they arrived. Bandar is a "close personal friend" of the "president", who directed the FBI "to restrain and obfuscate" the investigations. And now most of the details are still redacted. So ... what do you think? Was it all a mistake? Was is just a coincidence? Was it mere incompetence? I mean, did those checks from Bandar's wife end up in the hands of al-Bayoumi's wife by accident? srael's Declaration of Independence states that the Jewish people arose in the Land of Israel and was exiled from its homeland. Every Israeli schoolchild is taught that this happened during the period of Roman rule, in 70 CE. The nation remained loyal to its land, to which it began to return after two millennia of exile. Wrong, says the historian Shlomo Zand, in one of the most fascinating and challenging books published here in a long time. There never was a Jewish people, only a Jewish religion, and the exile also never happened - hence there was no return. 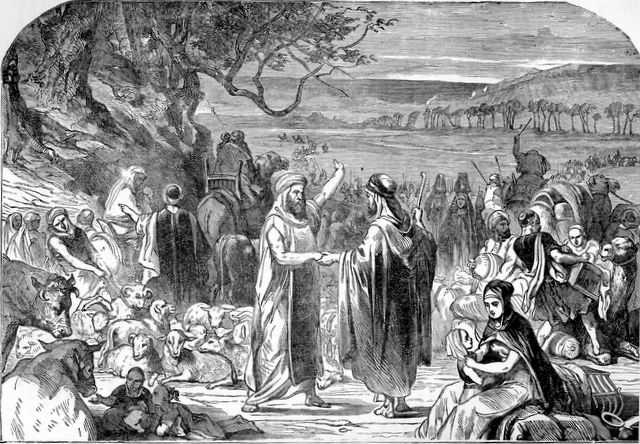 Zand rejects most of the stories of national-identity formation in the Bible, including the exodus from Egypt and, most satisfactorily, the horrors of the conquest under Joshua. It's all fiction and myth that served as an excuse for the establishment of the State of Israel, he asserts. If the majority of the Jews were not exiled, how is it that so many of them reached almost every country on earth? Zand says they emigrated of their own volition or, if they were among those exiled to Babylon, remained there because they chose to. Contrary to conventional belief, the Jewish religion tried to induce members of other faiths to become Jews, which explains how there came to be millions of Jews in the world. As the Book of Esther, for example, notes, "And many of the people of the land became Jews; for the fear of the Jews fell upon them." Zand quotes from many existing studies, some of which were written in Israel but shunted out of the central discourse. He also describes at length the Jewish kingdom of Himyar in the southern Arabian Peninsula and the Jewish Berbers in North Africa. The community of Jews in Spain sprang from Arabs who became Jews and arrived with the forces that captured Spain from the Christians, and from European-born individuals who had also become Jews. Prof. Zand teaches at Tel Aviv University. His book, "When and How Was the Jewish People Invented?" (published by Resling in Hebrew), is intended to promote the idea that Israel should be a "state of all its citizens" - Jews, Arabs and others - in contrast to its declared identity as a "Jewish and democratic" state. Personal stories, a prolonged theoretical discussion and abundant sarcastic quips do not help the book, but its historical chapters are well-written and cite numerous facts and insights that many Israelis will be astonished to read for the first time. My ancestors (Rivero is a Sephardic name) were among those who split from Judea in 70AD and moved to Spain, became noble, became rich, fought in the crusades, then were forcibly converted to Catholicism in the 1490s. In contrast, most of the Jewish people living in Israel are Ashkenazi, who have no genetic link to the Biblical Hebrews at all. But they like to claim they do, as part of what Shlomo Zand correctly describes as the justification for the existance of Israel (on land stolen from the Palestinians, who actually ARE the genetic descendants of the Biblical Hebrews. Israelis know this. They have actively suppressed scientific evidence that shows Palestinians and ARAB Jews are the descendants of Biblical Hebrews. Yes, There Is a Guerrilla War Against Zionism in the U.S. Portrait of a hypnotized zionist tool. He can't even see how he is speaking out of both sides of his mouth. PeaceThroughJustice above has it bang on: HB says he is an ardent supporter of israel and he firmly stands behind israel's security"; then he is shocked that anyone would suggest that US foreign policy is controlled by zionists. There is no end of evidence that this kind of rage is bubbling to the surface all over America. My sister-in-law tells me that the almost-censored If Americans Knew speech at the Greenwich Library last week was "a mob scene." I've blogged about the fact that at a Yivo event, neocon Iraq-war-planner Bill Kristol had a hunted look as he spoke of the craziness that had surrounded neocons since the war. Neocon chronicler Jacob Heilbrunn has seemed fearful in his public statements about his book, They Knew They Were Right: The Rise of the Neocons, stepping away from his own assertion that neocons formed cabals in the government. It is as if he is spooked by the snakepit he stepped into. The fact that our Israel policy has hurt us across the Arab world is no longer a revelation to Americans. They know it, and seem to want to do something about it. Jimmy Carter and Walt and Mearsheimer and the Iraq debacle have been an IV-drip into the American bloodstream. The rage out there is not antisemitism. It may be antiZionism, it may be isolationism. It is a groundswell that needs to be addressed honestly. When Congressman Berman went into fits of denial that there is an Israel lobby, after saying that he joined the Foreign Affairs Committee because he cared about Israel, this was not honest. What should Jewish institutions do about it? The answer is obvious, they should have forums. They should express the range of Jewish opinion re Israel (not the narrow range that Yivo gathered in its Martin Peretz-organized forum on Walt and Mearsheimer in November). They should encourage that range. They should begin an open discussion within the Jewish community of what Zionism has done to Jewish identity and American foreign policy. They should grill the neocons and give a platform to post-Zionist Jews like Joel Koveland David Zellnik, rather than just smearing them. They should confront the extent to which the adamant refusal by the Jewish establishment to acknowledge Palestinian suffering even as it insists that Israel is a democracy has hurt Judaism and hurt U.S. foreign policy. Philip Weiss lives in New York and is an investigative journalist who has been a contributing writer to the New York Times Magazine, Jewish World Review, The New York Observer and other mainstream publications as well as being as being a contributing editor to Esquire and Harper's Magazine. Weiss is the author of the 2004 book "American Taboo: A Murder In The Peace Corps." 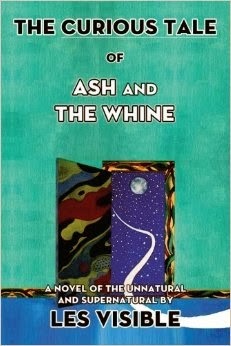 He is now working on a book about Jewish issues. He writes a blog for the New York Observer, Mondoweiss. Two Israeli ministers are openly debating the best way to kill Palestinian people. It seems that the Israeli Minister for Terrorism Against Palestinians, Ehud Barak, favours an invasion of the Gaza Strip to kill as many Palestinian fighters that they can lay their hands on, while the Israeli Minister for the Interior, Meir Sheetrit, would prefer a massive targeted killing spree. Either way, it is likely that many innocent civilians will die as well as many Palestinian fighters. Sheetrit says: "We must not let anyone involved in the shooting stay alive. I am opposed to hesitation and in favour of wiping out anyone who is in Hamas; from the military and political echelons, no matter who." Barak on the other hand simply says: "Israel will reach those responsible, hit them in operations, and Hamas will pay the price for its activities." One has to wonder where the world’s indignation is as ministers of one nation coldly and deliberately plan to murder the leaders of another nation. One can imagine the outcry from the Western mainstream media if Hamas announced to the world that it had found the means by which it could launch silent and deadly accurate missiles at individuals and was about to embark on a campaign of targeted killings of Israeli political and military leaders. Yet when the Israelis do it, we hear absolutely nothing. There is, of course, a bigger picture to be seen in all this. Israel’s war against Hamas is simply part of a much more complex strategy designed to provoke Hezbollah and Syria into a wider confrontation that ultimately will draw in Iran. Israel will then find some cause to attack Iran and then the US will enter the fray in order to protect Israel. The resultant will be; Israel will have a free hand to deal with the Gaza and the West Bank as it sees fit and Hezbollah without support from Syria or Iran will be beaten. Hamas, the elected government of the Palestinian people, will be annihilated. The world will just sit by and watch. I recently posted, mostly on impulse, as a result of hearing about yet another execrable crime committed against helpless animals (by the usual suspects)...a plea for "progressives" to consider amplifying their scope of moral consideration to include all sentient beings subject to tyrannization. 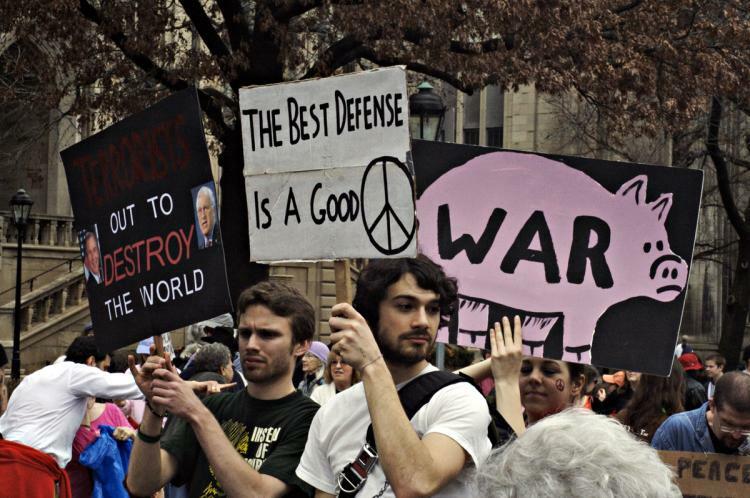 As a lifelong leftist and animal liberationist I am well acquainted with the temperament and idiosyncrasy prevailing in both tribes, and knew quite well that the "left"—however we may define it, has been less than helpful in the struggles to introduce a modicum of compassion in the brutal interactions between humans and non-humans. I know that it seems inane to ask people who are already horribly busy and overstretched coping with the constant tsunami of crime and idiocies produced by this system by the hour...to take yet another "cause" on their shoulders. I am also quite clear about the fact that the Left has never weaned itself off of the 19th century hangover proclaiming "man" (generically speaking) as the measure of all things and therefore center of the universe. This victory of secularism and democracy with a very small "d" was in fact the result of long centuries of struggles against church and king to give rationality and the "common man" a legitimate place at the table of societal decision making. This impromptu essay, therefore, reflected some of these theses. I posted the blog, as a trial balloon, on SmirkingChimp and DailyKos , large sites occupying what we might call the centrist-liberaloid part of the spectrum. The vast majority of the folks who visit (and participate in) the site probably see themselves as far more progressive in their politics than they really are, as their commentary reveals a preponderance of mainstream Democrats, ABBrs (Anyone But Bush), a sprinkling of social democrats, and a vociferous contingent of extreme centrists (who naturally never see themselves as extremists). Refreshingly, most of the featured writers seem to be well to the left of the audience (at least at these sites). I mention these features of SmirkingChimp & DailyKos to give you the context for what happened next. In a nutshell, my post bombed. (It is reproduced in toto below). The article seemed to touch a raw nerve and the response was almost uniformly poor. Frankly, because, as I said earlier, I know the mentality of the traditional left and that of leftoids so well, I didn't expect a massive conversion...still, the fierceness of the rejection, the level of intellectual lazines, ignorance, sarcasm and derision, was not exactly reassuring, in fact it was downright alarming considering that it is these people who will sooner or later have to undertake the transformation of America, for the better one hopes. Forty-eight thousand million animals—yes, 48 billion creatures—are estimated to die each year as a result of human activities ranging from factory farming to hunting, the fur garment trades, commercial exploitation of various kinds, and biomedical research. That's more than 130 million creatures every single day, including birds, cows, and hogs, all of them highly sociable animals. The way we go about killing animals, wherever they may be found or kept, land, sea or air—murdering and torturing are better words—is astonishing. We do it with abandon and we do it in such institutionalized, "tradition" approved ways that only a minority ever realize the extent of the tragedy. Since the era of modern fishing began 200 years ago we have decimated the oceans, ostensibly infinite reservoirs of life, converting many maritime regions into what Farley Mowat has accurately decried as "seas of slaughter." In the USA alone, every year almost 50 million turkeys are killed just for Thanksgiving Day, to commemorate a date that is of questionable historical merit, and which, despite the fact that the sacrificial victims have grown from a handful to tens of millions, rarely stirs any introspection. Sadly, such incidents are but a mere drop in an invisible sea of abuse whose actual roots date back to our earliest times as a species with self-righteous "dominionistic" claims over nature. Forty-eight billion animals is a stunning figure, yet this figure, regarded by many experts as scandalously conservative, does not include animals mistreated or dead as a result of habitat destruction, widespread pollution, apparently "harmless" recreational activities such as sport fishing and boating, and the collision of animals with "modernity" (up to 250 million animals die annually as roadkill on the American highways alone). We have become indeed not only the most appalling tyranny over every other sentient creature on this planet, including many segments of our own breed, but also a raging, self-righteous cancer extending itself with impunity to every corner of the earth. Today, as a result of a voracious industrialism, ecological deterioration and other related issues, self-defined progressives can't afford to go on pretending that suffering on such egregious scale is just a peripheral issue, or the concern of affluent diettantes with little interest in other social issues. Due to a deeply embedded and largely unexamined 18th Century heritage of philosophical "superhumanism" ("man is the measure of all things," and the rest of all that self-celebratory rubbish, which, we should mention in passing, arose as a response to a greater form of human stupidity, the one granting God and King total control over human agency), the Left continues to endorse or acquiesce in human supremacist attitudes toward animals. This moral blindness is inexcusable for those who rightly see themselves as the moral vanguard of humanity. [Check this article, for example: Rethinking Revolution: Animal Liberation, Human Liberation, and the Future of the Left by STEVEN BEST . It'll probably challenge many of your assumptions.] The bottom line is that speciesism—an underhanded and primitive form of fascism applied to animals and nature in general—is by far the oldest and most pervasive form of brutal tyrannization known on our planet. I don't use the word "fascism" as hyperbole in this context or for dramatic effect. I wish it were hyperbole. Fascism is distinguished for its unilateral proclamations of superiority by a certain race or breed, with such spurious superiority endowing said race with the "right" to dominate, exploit, and annihilate at will any group deemed "inferior." If that pretty much doesn't describe eloquently our despicable behavior toward non-human animals, I don't know what does. I realize quite well that to raise this topic is to ask for trouble. The fight to expand the realm of moral consideration to animals—to make such inclusion a matter of right—arouses deep animosities, including in the midst of many people who would otherwise define themselves as card-carrying progressives or, as our opponents across the political tracks like to say, "bleeding hearts." 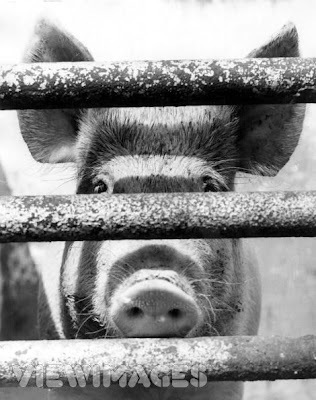 Well, I guess the bleeding of the human heart does not encompass in most cases the suffering of other sentient beings—especially those already classified by tradition as "raised for food" (as if such categorization in and of itself erased all trace of what is by any reckoning a truly nightmarish tyrannization). I mean no offense to anyone on this blog but I've been through this before, so I know the score, and what I'm saying here is that I am resigned, I expect to see sarcasm, derision, flippancy, intellectual laziness, and, why not, even intellectual dishonesty—for such is the likely response elicited by the deep reservoir of human chauvinism that afflicts so many in our species. The more creative [of my inevitable critics] will hide their prejudices by feigning alarm at my conflating the words "fascism" and "speciesism." Well, I have something to say to this easily offended crowd: You abuse a language when you turn it on its head, to accomplish precisely the opposite of what the words originally denoted, or in furtherance of what would be, by fair evaluation, an obviously despicable pursuit. Bush and his contemptible camarilla, as we all know, are a prime example of this: in The First Decider's lips the words freedom, democracy and justice, not to mention a fair shake for the disadvantaged, are but tools of manipulation to buttress the agenda of a deranged and criminal plutocracy driving the world ever closer to total war. But what am I proposing here? Just think about it for a moment. Something that all of you should be for, an extension of compassion, or at least the benefit of the doubt when subjecting mind-boggling numbers of creatures to the finality of death. In other words, I'm pleading for a reduction in the colossal amount of violence that this planet already sustains, the violence that at least our species is directly responsible for... Where is the inversion of meaning there? The outrageous betrayal of the language? Or is it that by saying "fascism" and "speciesism" in one breath I manage to offend the sensibilities of too many purists who happen to land on this forsaken blog? Words change, expand, become obsolete, drop and add connotations and meanings, and sometimes die, like the things and realities they were initially created for. And besides, just like there are many varieties of capitalism, socialism and communism, so you also have distinct varieties of fascism. In some, all the bells and whistles are found that connote "classical fascism" —the jackboots, the open corporatization of the state, and so on and so forth, as we have come to know it. In others, it's more of an all-encompassing worldview, a system of values, a subterranean ideology that justifies a malignant treatment code. But here's what we need to remember: The boots, the marches, the endless wars, the nauseating violence, the paraphernalia of fascism and the fascination with death—all of that cannot happen in the absence of an ideology that has its own roots in the oppression of others by virtue of a self-serving, unilateral declaration of superiority. Thus, it is undeniable that the core concept fueling speciesism is also found behind racism, classism, and male chauvinism. 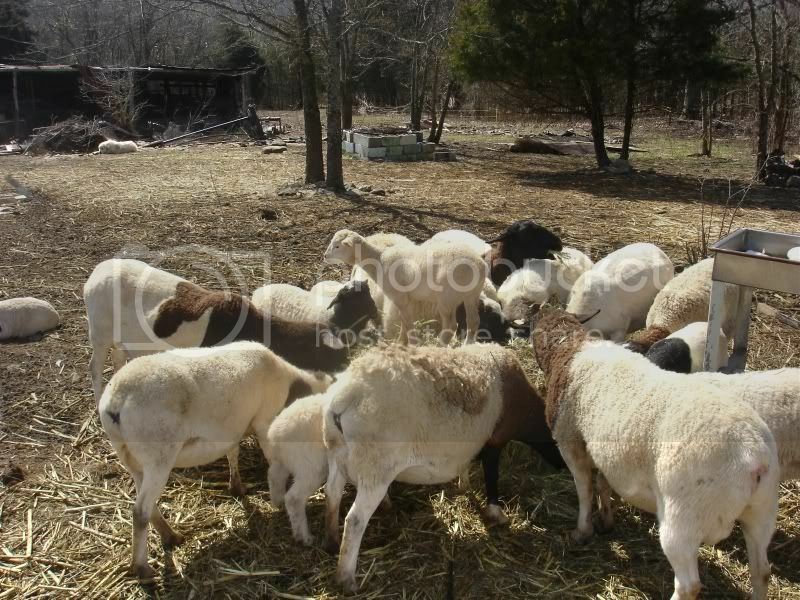 They all feed at the trough of hatred or profound lack of empathy toward "the other." Now—as we all have learned—human chauvinism cuts very deep and pervades every nook and cranny of what we optimistically still call civilization, and has done so for millennia. No one is immune to its infection, including many folks who regard themselves as impeccably "progressive". Indeed, it is from their ranks that you often hear some of the worst and most derisive epithets. The usual argument is that progressives, always a thin line against barbarism, have better things to attend to than the fate of "mere" chickens and cows. Compassion, to such individuals, has obviously left the building; it is fungible, divisible, and comfortably apportionable according to inclusion or exclusion in certain categories of privileged sentience. They obviously don't see—refuse to see—the parallels with so many other struggles they may have honored or participated in, nor do they see how the liberation of animals is an integral part of a serious environmentalist agenda. No, here they draw the line, and reason, kindness, and the most elementary fairness fly out the window. But such narrow-minded and intellectually lazy positions will surely be exposed—sooner rather than later—for the pretentious sham they truly are. For now, in the age of an utterly deranged industrialism, with a global system blatantly proclaiming as its organizing principle the pursuit at any cost of infinite growth in what to any sensible person is a very finite and fragile planet, the tyranny of humans over nature has acquired monstruous proportions. The colossal dimensions of animal exploitation by the industrial method and the death of one species after another grimly attest to that. In view of these incontestable facts, no one with a scintilla of decency should turn his or her back on such knowledge. It is the duty of all people who haven't yet done so, and especially of progressives, to re-examine their assumptions about animals, about their everyday conduct in choosing food and clothing and transportation modes, and to join the last struggle against the first tyranny. By doing so, they will re-invigorate the environmental movement, rendering it less abstract and more passionate, because while fighting for nature is a noble and urgent call, fighting for nature's oppressed creatures is a matter of long overdue justice. PATRICE GREANVILLE, editor of Cyrano's Journal [ http://www.cjonline.org ] is an independent leftist and sometime economist who has always supported animal liberation, and who sees no contradiction whatsoever in such praxis. One should always remember 'There is no such thing as a free Lunch! Also, a politician will never provide a service for you cheaper than you can do it yourself. Also, if you see that all of this wonderful government 'help' is a problem confronting the future of democracy in America , you might want to send this on to your friends. If you think the free ride is essential to your way of life then you will probably delete this, but God help you when the gate slams shut! If you adopt your enemy's religion you are enslaved. If you breed with your enemy you are destroyed." I lived at the Readyville Mill for a while in 1975 and worked and played there on and off until it's closure in the early 80's and would like to take the opportunity to thank Tomm Brady, the current owner, for his continuing efforts to restore this wonderfully historic place. It holds a lot of memories. My girls and I spent more than a few hot summer days at the swimming hole behind the dam. The famous or infamous "Goat Roasts" of the late 70's were held there; hundreds of people, good music, many kegs of beer and barbecued goats. 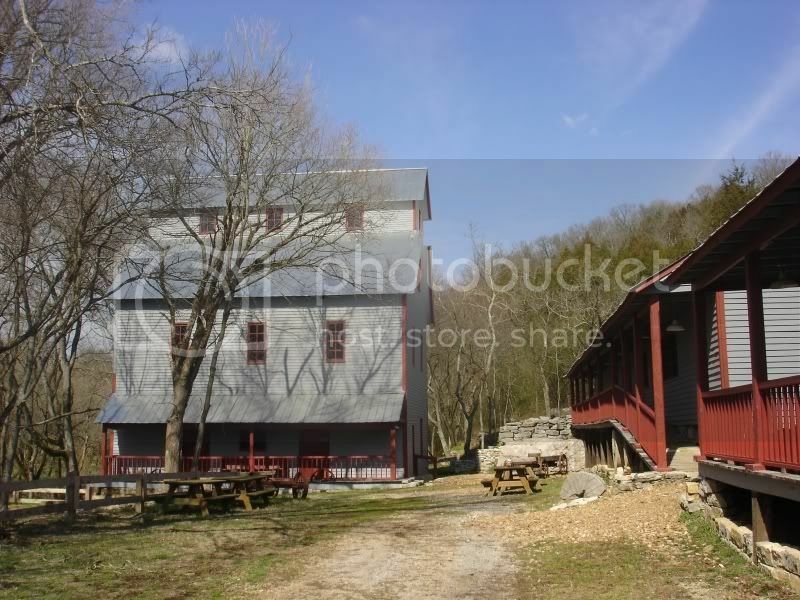 The mill store was one of the first natural foods businesses in the middle TN area. A local moonshiner got his corn ground there and paid the bill in trade; "shine" buried in an oak keg for a year, it was the best I ever had. Hopefully the restoration will continue and the mill returned to it's former glory. The Readyville Mill is the sole vestige of what was once a flourishing industry on the Stones River in Middle Tennessee. Dating from the 1870s, the current Readyville Mill is a three-story building with an open fourth-story attic. In the early 1900s, the mill supplied the area with electricity, making Readyville one of the first rural villages in Tennessee to possess electric lights. Other products included ice, corn meal, refined flour, whole wheat flour, buckwheat flour, and lumber. Tomm Brady, current owner of the Readyville Mill, is working hard to restore this wonderful place back to working condition. The mill site consists of 3.9 acres on the East Fork of the Stones River. The mill is 1.5 miles from scenic Highway 70S 12 miles east of Murfreesboro. 1766 Uriah Stone explored current Readyville area; Stones River named after him. 1802 Mary & Charles Ready setteled Readyville area. 1811 Ready offered land for Rutherford County seat; post office built. 1812 Ready built GRIST MILL; cut channel from Stones River for water wheel. 1829 Ready built home known as The Corners, which still stands. 1859 Charles died; daughter Jane & husband Peter Talley continues operation with their son, Frances. 1889 W. B. Hayes bought Mill; worked with son, Sam, and Arthur McFerrin. Sam lived in the house across the race; currently a rental house. 1918 ELECTRICITY Readyville had electricity before Murfreesboro (plant bought by TVA in 1937. MACHINE SHOP over the millrace south of Highway 70S built. 1930s CORN MEAL, FLOUR, LUMBER, ICE, ELECTRICITY, MACHINE SHOP operated at this site. 1935+ Leslie & George Justice bought 3.75 acre mill site; sawmill sold; TURBINES installed; grinding stones replaced by steel rollers for white flour. 1970 Mary & Gerald Flipse bought Mill; GRINDING STONES from another mill added to provide corn, whole wheat, buckwheat operations; French burr stone form Marne Valley. 1973 Mill placed on National Register of Historic Places Marie & Wilfred Carignan purchased Mill. 1977 Mill sold to George Reel & Wayne Epperly. 2006 Mill bought and in process of being restored. Update and pictures soon to come. One of this week's hysterical press scandals was that Minister Louis Farrakhan praised Barack Obama's candidacy even though Obama had previously denounced numerous Farrakhan remarks and the Obama campaign did nothing to seek out the Farrakhan praise. Nonetheless, Tim Russert demanded that Obama jump through multiple hoops to prove that he has no connection to -- and, in fact, "rejects" -- the ideas espoused by Farrakhan deemed to be radical and hateful. Yesterday, though, the equally fringe, radical and hateful (at least) Rev. John Hagee -- a white evangelical who is the pastor of a sprawling "mega-church" in Texas -- enthusiastically endorsed John McCain. Did McCain have to jump through the same hoops which Russert and others set up for Obama and "denounce" Hagee's extremism and "reject" his support? No; quite the opposite. McCain said he was "very honored" to receive this endorsement and, when asked about some of Hagee's more twisted views, responded: "all I can tell you is that I am very proud to have Pastor John Hagee's support." McCain's sainted supporter, Joe Lieberman, last year spoke to Hagee's group and lavished him with such obsequious praise that Lieberman actually compared Hagee, favorably, to Moses. Why is Louis Farrakhan deemed by our political establishment to be so radioactive as to not be fit for good company -- black candidates are required to repudiate his support even when they haven't sought it and denounce his views even when they've never advocated anything close to those views -- but John Hagee is a perfectly acceptable figure whom mainstream GOP politicians are free to court without any consequences or media objections? TG: If you use the Bible as the basis for policy, is there any room for compromise? And if you use the bible as the basis for policy, should Muslims use the Koran as the basis for their policy, and then again, what possible basis is there for compromise at that point? TG: I'm not talking about radical Islam. I'm just talking about Islam in general. JH: Well Islam in general -- those who live by the Koran have a scriptural mandate to kill Christians and Jews. A small minority of evangelical Christians have entered the Middle East political arena with some of the most un-Christian statements I have ever heard. . . . [Rev.] Hagee, a popular televangelist who leads the 18,000-member Cornerstone Church in San Antonio, ratcheted up his rhetoric this year with the publication of his book, "Jerusalem Countdown," in which he argues that a confrontation with Iran is a necessary precondition for Armageddon (which will mean the death of most Jews, in his eyes) and the Second Coming of Christ. In the best-selling book, Hagee insists that the United States must join Israel in a preemptive military strike against Iran to fulfill God's plan for both Israel and the West. Hagee believes that "the president's support for Israel fulfills a biblical injunction to protect the Jewish state," which "will play a pivotal role in the second coming." These views are not unrelated to Hagee's support for McCain. Quite the contrary; Hagee cited McCain's so-called "pro-Israel views," his belligerence towards Iran, and his social conservatism as reasons for the endorsement. And in critical contrast to Obama and Farrakhan, McCain actually seems to share some of Hagee's more twisted views, as evidenced by McCain's joyful singing about dropping bombs on Iran. The GOP has long been given a pass on courting the most warped and twisted religious figures around. George Bush spoke regularly with Pat Robertson -- never once forced to "denounce" or "reject" him. In 2006, Rev. Hagee had a private meeting with uber-White House neocon (and convicted criminal) Elliot Abrams, who just happens to run Middle East policy in the Bush administration, and afterwards, Hagee gushed that he and Abrams (like he and Lieberman) shared similar views towards the Middle East: "we felt we were on the right track." Watching the media's treatment of Farrakhan and Hagee, is it possible to imagine a more transparent, and grotesque, double standard? In the framework of the Russert-led establishment press, white evangelical Christians are, by definition, entitled to great respect no matter how radical, extreme and hateful their professed views are. These are, after all, religious Christians -- People of Faith -- and, as such, it is wrong, even bigoted, to suggest that they should be repudiated. There is nothing ever radical, hateful or dangerous about the views of white evangelical Christians like Hagee. Thus, white evangelical Ministers are free to advocate American wars based on Biblical mandates, rant hatefully against Islam, and argue that natural disasters occur because God hates gay people. They are still fit for good company, an important and cherished part of our mainstream American political system. The entire GOP establishment is permitted actively to lavish them with praise and court their support without the slightest backlash or controversy. Both George Bush and Israeli Prime Minister Ehud Olmert sent formal greetings to the 2006 gathering of Hagee's group. By contrast, black Muslim ministers like Farrakhan, or even black Christian ministers like Rev. Jeremiah Wright, are held with deep suspicion, even contempt. 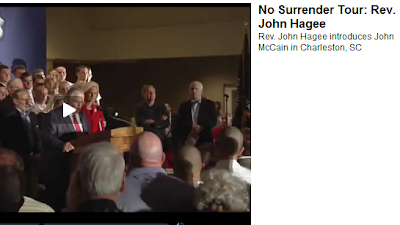 McCain is free to hug and praise the Rev. Hagees of the world, but Obama is required to prove over and over and over and over that he does not share the more extreme views of black Ministers. How come Tim Russert -- in all the times he sits and chats with Lieberman, McCain and various high Bush officials -- never reads all of the inflammatory, disgusting, crazed "Rapture-is-Coming/ All-Jews-will-Burn/ Kill-All-Muslims/ Hurricanes-are-Punishment-against-Gays" pronouncements from John Hagee and James Dobson and Pat Robertson and demand that John McCain and George Bush and Joe Lieberman "denounce" those views and "reject" their support? What's the difference, exactly? UPDATE: As emaydon recalls in Comments, McCain supporter Rudy Giuliani, just a few months ago, stood on the same stage and gushed with gratitude over the endorsement by Rev. 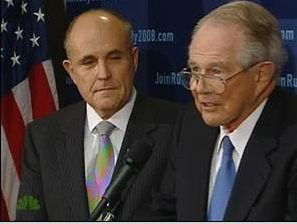 Pat Robertson of Giuliani's presidential bid. That's the same Rev. Robertson who, among so many great things, said that Ariel Sharon's stroke was God's punishment for giving up Gaza and the 9/11 attack was divine retribution against America -- America's fault -- for tolerating gays, feminists and the ACLU. But Giuliani was the moderate, respectable candidate who was free to accept Robertson's endorsement, and Russert and his friends never demanded that he "reject" it. MR. RUSSERT: I want to talk a little bit about the language people are using in the politics now of 2006, and I refer you to some comments that Harry Belafonte made yesterday. He said that Homeland Security had become the new Gestapo. What do you think of that? MR. RUSSERT: Mr. Belafonte went to Venezuela, as you well know, some time ago and met with the Hugo Chavez, leader of that country, and said some things that obviously were noted in this country and around the world. Let’s listen, and come back and talk about it. (Videotape, January 8, 2006) . . .
MR. RUSSERT: Is it appropriate to call the President of the United States "the greatest terrorist in the world"? Obama is required to denounce certain people with whom he has no connection while the likes of Bush, McCain, Lieberman and Giuliani are free to associate themselves openly with the most extremist elements around. During his remarks, Rev. 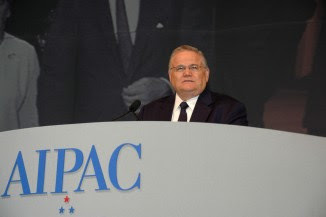 Hagee denounced those "in Congress who whine about the cost of the war"; said we can't withdraw from Iraq because "Israel will be in greater danger than ever before," pointed out that "Allah [is Ahmadinejad's] God -- not ours"; and raved that McCain "is the leader and the [other candidates] are followers." Rev. Hagee concluded: "Without victory, there is no survival." McCain then went over to him and warmly shook his hand. I begin by thanking your founder, Pastor John Hagee. I would describe Pastor Hagee with the words the Torah uses to describe Moses, he is an "Eesh Elo Kim," a man of God because those words fit him; and, like Moses he has become the leader of a mighty multitude in pursuit of and defense of Israel. John McCain and Joe Lieberman -- Hagee reverence and all -- are our nation's Serious, principled, and moderate figures. Just ask Tim Russert, Fred Hiatt, Joe Klein, Gloria Borger, Chris Matthews, et al. "There are plenty of staunch evangelical leaders who are pro-Israel, but are not anti-Catholic. John Hagee is not one of them. Indeed, for the past few decades, he has waged an unrelenting war against the Catholic Church. For example, he likes calling it 'The Great Whore,' an 'apostate church,' the 'anti-Christ,' and a 'false cult system' . . . .
"In Hagee's latest book, Jerusalem Countdown, he calls Hitler a Catholic who murdered Jews while the Catholic Church did nothing. 'The sell-out of Catholicism to Hitler began not with the people but with the Vatican itself,' he writes. . . . "Senator Obama has repudiated the endorsement of Louis Farrakhan, another bigot. McCain should follow suit and retract his embrace of Hagee." Whenever Bill Donohue attacks Democrats as being anti-Catholic -- during, for the instance, the grave matter of the Edwards campaign's hiring of Amanda Marcotte and Melissa McEwan as campaign bloggers -- Donohue was ubiquitous, treated with the utmost respect. Donohue's righteous protests over John McCain's embrace of such a stark, hateful anti-Catholic bigot merit at least as much attention as the Edwards Blogger Scandal, to put it mildly. UPDATE VI: I interviewed The Catholic League's President, Bill Donohue, regarding the McCain/Hagee connection. The write-up on the interview is here; the podcast can be heard here. I must be getting old. This virus, or whatever the heck it is, really knocked me for a loop. It's funny, but I recall thinking, just before I came down with this, that I'd managed to entirely avoid getting sick this winter, and – whammo! Hubris – it's the bane of mankind. At any rate, that's my feeble excuse for not writing the usual 3000-word analysis of one particular aspect of the federal government's overseas shenanigans. Instead, we're going on a whirlwind tour of the current foreign policy follies, at home as well as abroad. Turkey's invasion is escalating pretty quickly, with Ankara declaring their "temporary" incursion could last as long as a year, and Baghdad demanding "Troops Out!" The US is the monkey in the middle, with defense secretary Robert Gates averring that the Turks had better get out in "days," or, at most, "a week or two." The Turks, for their part, maintain their "right" to cross the border with Iraq (really Kurdistan) in hot pursuit of Kurdish Workers Party (PKK) "terrorists," who attack civilian targets in Turkey proper. This is a clarification of the preemptive war doctrine, adopted by the Bush administration as the core canon of our post-9/11 foreign policy theology, which makes it clear that this "principle" is not universally applicable: it applies only to the United States, and selected allies – of which Turkey certainly is not one. And in spite of his much-vaunted "universalism," I'm sure John McCain is willing to make an exception in this case. Speaking of McCainiacs, the McCainiac-in-chief has staked out a unique position on the Iraq war question, one that addresses the history of the dubious intelligence and false premises that led us into that costly conflict in terms of a simple, easy-to-understand slogan: That was then, this is now. "On the issue of my differences with Senator Obama on Iraq, I want to make it very clear: This is not about decisions that were made in the past. This is about decisions that a president will have to make about the future in Iraq. And a decision to unilaterally withdraw from Iraq will lead to chaos." Ignore the past, and plunge into the future. Irrespective of one's position on the war – or the presidential race – one has to ask: is this really how a self-proclaimed "conservative" formulates policy? Conservatism, as I've been led to understand it, is all about empiricism: a methodology that upholds the superiority of the tried-and-true, and validates a reverence for tradition. However, when the traditionalists – or their leaders – declare, in effect, that history is bunk, we have truly entered Bizarro World. Conservatives are really lost in the wilderness these days, and the death of William F. Buckley, Jr., has proved to be the occasion for a lot of commentary on conservatism, past and future. I did a short piece for Taki's Top Drawer, which you can read here: I would add that some of the commentary which has come out, hailing Buckley for his purging of the "isolatonist" Right from the ranks of the conservative movement, is coming from ostensbly antiwar liberals, like Chris Matthews the other day on MSNBC, who made just this point. Yet if we had more "isolationists" (i.e. pro-peace Ron Paul types) in the GOP, we would never have been in the mess we are today. And then, I guess, Democrats like Señor Matthews wouldn't have the war as a campaign issue. Once a partisan, always a partisan. Now if we're going to have partisanship over at MSNBC, why not give Pat Buchanan his own show – he'd be more than a match for Matthews and Keith Olbermann. The good guys on the right, over at The American Conservative, have a new regular blog written by the estimable Daniel Larison, and I urge you to go over there and check it out if you want to know what's right with the conservative movement of today. Continuing our discussion of the other day: Yes, I understand his point that the Obama phenomenon is not going to cure all our foreign policy ills, and I don't fault him at all for trying to tamp down my apparent Obama-mania. I don't think I've made it clear enough that I'm more interested in Obama's supporters than I am in Obama: that is, the phenomenon is more significant than the man. At any rate, now that I haven't cleared that up, I should note that, as if on cue, the tail-end of the Democratic debate seemsed to confirm Larison's point. Asked by the out-of-control Tim Russert what he would do if Vladimir Putin's successor launched a military attack on Kosovo, Obama endorsed the Clintonian solution to the Yugoslav problem, albeit mildly, and put his imprimatur on Hillary's wild-eyed Russophobia. If you look at the transcript, however, Obama's coolness in the face of Russert's speculative hysterics is encouraging, although I have to say there is a problem with Obama's foreign policy stances, and I can boil it down to two words: George Soros. Señor Soros is a peacenik today, but during the Clinton years he and his global nonprofit empire were the radical caucus of the War Party, clamoring endlessly about the need to intervene militarily on the side of the Albanian ultra-nationalists of the Kosovo "Liberation" Army. Soros money fueled a whole range of interventionist front groups, in support of a war that was the Central European doppelganger of the conflict to come in Iraq. In both cases, insurgent groups with powerful Washington lobbies managed to commandeer the US military in support of their own agendas, which were and are antithetical to American interests. "He's 42 years old, he's a former law professor. He is Mr. Putin's campaign manager. He is going to be the new president of Russia. And if he says to the Russian troops, you know what, why don't you go help Serbia retake Kosovo, what does President Obama do?" Obama accepted the absurd premise, and answered accordingly: that we would of course defend Kosovo, and that surely NATO would respond, while emphasizing that we would do this in concert with our European allies. And yet, as Hillary would put it: let's get real. In reality, no such scenario is even remotely conceivable. Putin stood by while the NATO-crats bombed one of the oldest cities in Europe. His chosen heir is no more likely to launch an attack on NATO – which is what an attempt to "retake Kosovo" would amount to. In short, Russert's question involves a nonsensical, reality-inverting Bizarro World-like scenario, one less likely than an invasion of Kosovo by Martians. I don't underplay the danger posed by the Soros/left-interventionist wing of the Democratic party: I just don't think it's known to what degree Obama is their willing accomplice. There is a war danger emanating from the Balkans. The victorious ultra-nationalists of the KLA, ensconced in Pristina, are actively aiding and abetting their allies in Macedonia, Montenegro, and Epirus (a northern province of Greece, with a significant Albanian minority). In all these surrounding areas, separatist pan-Albanian movements agitate for union with "Greater Albania," a vision of ethnic solidarity upheld by the KLA to this day. A Democratic President could be expected to exacerbate the problem – the Clintons far more than Obama, in my estimate. The Soros wing of the Democratic party, and its international affiliates, were in the front lines of the first wave of Albanian expansionism, and they'll doubtless be in the vanguard of the next. I'm just not so sure that Obama will necessarily sign on to it, just because Soros was one of his early supporters. In 2004, the crusading billionaire said he supported Obama because he saw him as "an emerging national leader," a bit of speculative analysis that turned out to be right on the money. Which is why Soros has so much money. It may turn out, however, that Soro's investment in Obama will fail to reap the expected returns. I don't think, however, that we know at this point. Support Our Troops – or Judge Them? Keep your freedom with learning about guns.